This high-potency blend of amino acids is derived from the highest - quality beef protein isolate. Each serving contains 11.300mg of beef amino acids and harnesses the anabolic potential of beef, containing a full spectrum of highly concentrated amino acids and other essential nutrients without any fat or cholesterol and it's naturally lactose free. You gonna get the optimal results by taking BEEF AMINO LIQUID and the result is protein in its most easily digested, absorbable and utilized form to optimize protein synthesis and maximize muscle growth. 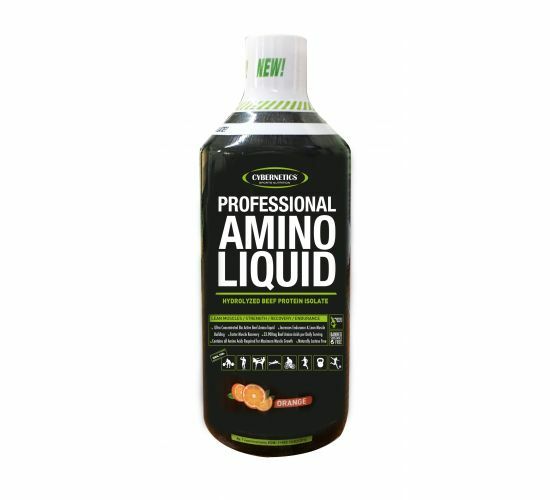 BEEF AMINO LIQUID supply a steady flow of amino acids to help preserve lean body mass and strength when you' re on a low-carb diet and you try to lean out. Without any doubt, this is the top choice of athletes and trainees and it is not another protein product with no actual amino acid content, on the contrary it contains a full spectrum of essential, conditionally essential and non-essential amino acids.